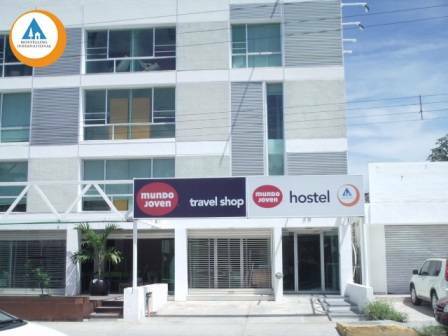 The New Mundo Joven Hostel Cancun is part of the Mexican Youth Travel Association. If you have visited us at Hostel Cathedral in Mexico City then you'll know that our location, quality and service are our main objectives. 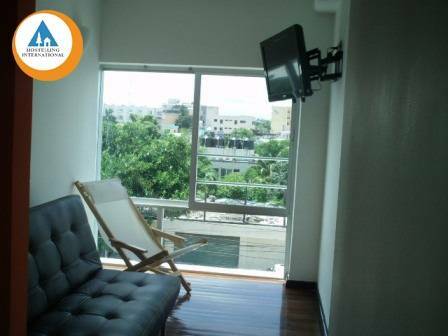 A concept of modernism and spaciousness for every guest makes ours the hostel with the best installations in Cancun. The spacious private bedrooms with first-rate finishings make up a unique place for all those who seek privacy. 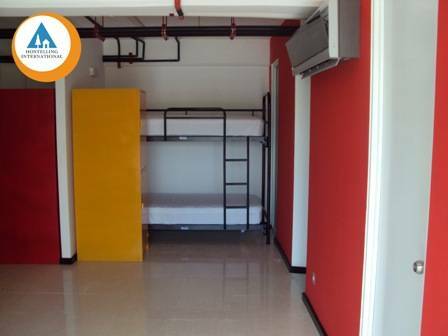 Our dormitories are ample and marry privacy with the opportunity to meet people from all corners of the world, in a place where you will feel at home. 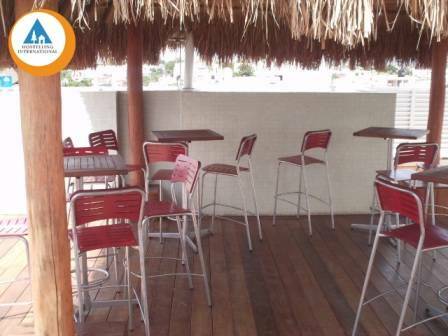 Located just a block and a half from the bus station, and on the most famous restaurant, bar and clubbing street in the city makes this the best-located hostel in Cancun. This hostel is specifically designed for travellers, with air conditioning in all our rooms, a terrace to enjoy the day and a full team of staff ready and absolutely dedicated to help you, will make your stay an unforgettable experience. You will have at your disposal any information you could want about tours, places to visit, and unique discounts for the best clubs in Cancun. Private rooms designed specially for couples, families or groups of up to 4. Every bedroom will exceed your expectations offering a private bathroom, luxury finishings and a private living room. Having female, male and mixed dorms, we give you the option to choose whatever you're looking for. Every bedroom has its separate showers, toilets and sink for your comfort. Breakfast is served every day out on the terrace where you'll be able to enjoy the morning freshness with fresh fruit, cold meats, cereal, milk, coffee and tea: undoubtedly the best breakfast in the area. The entire hostel offers free wireless internet for your comfort. In case you don't have your laptop with you, we also have an internet cafe with 30 free minutes a day included in the price per night. The best activities and parties organised by the staff will ensure you always have something to do, as well as the perfect reason to meet other people and share your experience in Mexico with them. Our jacuzzi on the terrace will be main point for socialising and the most fun place in the hostel. TV room with cable, kitchen for guests and the best communal areas so that you're comfortable in your room and throughout the hostel. 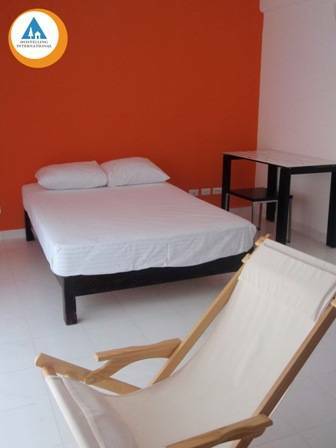 With out a doubt the best hostel with experience, quality, service and most importantly, the best location in the centre of Cancun. Dormitories We have available for you comfortable dormitories for 10 people. They are for Male, Female and Mixed. Private Rooms We offer you private double rooms if you are travel alone or in couple. 48 hours before the arriving date. Otherwise the complete amount for the fisrt night, will be charged.